CHI 2019 anticipates more than 3,000 Papers submissions. The review process needs to handle this load while also providing high-quality reviews, which requires that each submission is handled by an expert Associate Chair (AC) who can recruit expert reviewers. The organization of the CHI program committee into topical subcommittees helps achieve this. See the description of the Papers review process for a detailed explanation of the responsibilities of the ACs and Subcommittee Chairs (SCs). Authors are required to suggest a subcommittee to review your submission. This page provides guidance on choosing the appropriate subcommittees for your submission. When you submit a Paper, you will designate two appropriate subcommittees for your submission. In the vast majority of cases, the subcommittee that will review your submission is one of the two subcommittees that you proposed. In cases where the Papers Chairs and/or Subcommittee Chairs recognize that your submission will be reviewed more thoroughly in another subcommittee, a submission may be transferred from one subcommittee to another. If a submission is transferred to another subcommittee, this will happen in the first week of the process, before reviewers are assigned; i.e., transferring will not affect a submission’s review process, it will only ensure that it receives the most complete, fair set of reviews. Below, you will see a list of subcommittees and descriptions of the topics they are covering, the name of each SC, and the names of the ACs serving on each subcommittee. It is your responsibility to select the subcommittee that best matches the expertise needed to assess your research, and that you believe will most fully appreciate your contribution to the field of HCI. CHI has traditionally supported diverse and interdisciplinary work and continues to expand into new topics not previously explored. We recognize that as a result, you may find more than two subcommittees which are plausible matches for your work. However, for a number of reasons it will be necessary for you to select no more than two target subcommittees, and you should strive to find the best matches based on what you think is the main contribution of your submission (examples of papers that are considered good matches are linked below for each subcommittee). You can also email the SCs for guidance if you are unsure (an email alias is provided below for each set of SCs). Note that the scope of each subcommittee is not rigidly defined. Each has a broad mandate, and most subcommittees cover a collection of different topics. Further, SCs and ACs are all seasoned researchers, experienced with program committee review work, and each is committed to a process which seeks to assign each paper reviewers who are true experts in whatever the subject matter of the paper is. ACs recognize that many papers, or perhaps even most papers, will not perfectly fit the definition of their subcommittee’s scope. Consequently, papers will not be penalized or downgraded because they do not align perfectly with a particular subcommittee. Interdisciplinary, multi-topic, and cross-topic papers are encouraged, and will be carefully and professionally judged by all subcommittees. In making a subcommittee choice you should make careful consideration of what the most central and salient contribution of your work is, even if there are several different contributions. As an example, let’s say you are writing a paper about Ergonomic Business Practices for the Elderly using Novel Input Devices. Perhaps this is a very new topic. It covers a lot of ground. It’s not an exact fit for any of the subcommittees, but several choices are plausible. To choose between them, you need to make a reasoned decision about the core contributions of your work. Should it be evaluated in terms of the usage context for the target user community? The novel methodology developed for your study? The system and interaction techniques you have developed? Each of these evaluation criteria may partially apply, but try to consider which is most central and which you most want to highlight for your readers. Also look at the subcommittees, the people who will serve on them, and the kind of work they have been associated with in the past. Even if there are several subcommittees that could offer fair and expert assessments of this work, go with the one that really fits the most important and novel contributions of your paper. That committee will be in the best position to offer constructive and expert review feedback on the contributions of your research. Each subcommittee description also links to several recent CHI papers that the SCs feel are good examples of papers that fit scope of that subcommittee. Please look at these examples as a way to decide on the best subcommittee for your paper – but remember that these are just a few examples, and do not specify the full range of topics that would fit with any subcommittee. Subcommittees are listed and described below. Each has a title, short description, and an indication of who will Chair and serve on the subcommittee. Subcommittees have been constructed with an eye to maintaining logically coherent clusters of topics. This subcommittee is suitable for papers that extend the knowledge, practices, methods, components, and tools that make technology more useful, usable, and desirable. Successful papers will present results, practical approaches, tools, technologies, and research methods that demonstrably advance our understanding, design, and evaluation of user experience and/or usability. The focus is on usability and user experience of widely used technologies with contributions being judged substantially on the basis of their demonstrable potential for effective reuse and applicability across a range of application domains or across a range of design, research, and user communities. S.O.S. : Does Your Search Engine Results Page (SERP) Need Help? This subcommittee is suitable for papers that extend the design and understanding of applications for specific application areas or domains of interest to the HCI community, yet not explicitly covered by another subcommittee. Example application areas and user groups are listed below. Submissions will be evaluated in part based on their impact on the specific application area and/or group that they address, in addition to their impact on HCI. The “Learning and Education” component of this subcommittee is suitable for contributions that deepen our understanding of how to design, build, deploy, and/or study technologies for learning processes and in educational settings. Topics may include (but are not limited to) intelligent tutoring systems; multimedia interfaces for learning; learning analytics; systems for collaborative learning and social discussion; and tangible learning interfaces. These may be suitable for a variety of settings: online learning, learning at scale; primary, secondary, and higher education; informal learning in museums, libraries, homes, and after-school settings. The “Families” component of this subcommittee is suitable for contributions that extend design and understanding of how children, parents, and families interact with technology. Topics may include (but are not limited to) a wide range of domains that span health and well-being, social, psychological, and cultural phenomena. While submissions will be evaluated on their impact on the specific application and/or group that they address, papers must also make a substantial contribution to HCI. 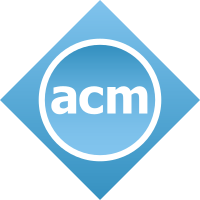 In reflecting on their paper’s potential contribution to HCI, authors may wish to examine past proceedings, and resources like https://chi2016.acm.org/wp/contributions-to-chi/. This subcommittee is intended to handle many of the papers that went to and were reviewed under a split of Specific Applications Areas in CHI 2018. This subcommittee is suitable for papers that contribute to our understanding of collaborative technologies for groups, organizations, communities, and networks. Successful submissions will advance knowledge, theories, and insights from the social, psychological, behavioral, and organizational practice that arise from technology use in various contexts. This subcommittee is also suitable for submissions describing collaborative or crowdsourcing tools or systems. Goals and Perceived Success of Online Enterprise Communities: What Is Important to Leaders & Members? This subcommittee is suitable for papers across all areas of playful interaction, player experience, and games. Examples of topics include: game interaction and interfaces, playful systems (e.g., toys, books, leisure), the design and development of games (including serious games and gamification), player experience evaluation (player psychology, games user research, and game analytics), the study of player and developer communities, and understanding play. This subcommittee is suitable for papers across all areas of usable privacy, security, data visualization and visual analytics. This includes but is not limited to new techniques/systems/technologies, evaluations of existing/new systems, ground work identifying important insights for the community, and lessons learned from real-world deployments. Submissions will be judged based on the contribution they make to privacy, security, visualization or a combination of those as well as their impact on HCI. For example, papers that focus on technical contributions need to show how these relate to humans and user experience. Storytelling in Information Visualizations: Does it Engage Users to Explore Data? This subcommittee is suitable for contributions related to health, wellness, and medicine, including physical, mental, and emotional well-being, clinical environments, self-management, and everyday wellness. This subcommittee balances the rigor required in all CHI submissions with awareness of the challenges of conducting research in these challenging contexts. This subcommittee welcomes all contributions related to health, including empirical, theoretical, conceptual, methodological, design, and systems contributions. Submissions to this subcommittee will be evaluated in part based on their inclusion of and potential impact on their stakeholders. This subcommittee is suitable for contributions related to accessibility for people with disabilities and/or technology for and studies involving older adults. Accessibility papers are those that deal with technology design for or use by people with disabilities including sensory, motor, and cognitive impairments. Note that if your paper primarily concerns interactions of older adults with their healthcare providers, then the Health subcommittee is probably a better fit, whereas papers reflecting on how older adults use technologies and/or designing interfaces and interactions suited to the needs of older adults are better suited for this subcommittee. We strongly suggest that authors review this Accessible Writing Guide in order to adopt a writing style that refers to stakeholder groups using appropriate terminology. Submissions to this subcommittee will be evaluated in part based on their inclusion of and potential impact on their target user groups and other stakeholders. This subcommittee balances the rigor required in all CHI submissions with awareness of the challenges of conducting research in these important areas. This subcommittee welcomes all contributions related to accessibility, and aging, including empirical, theoretical, conceptual, methodological, design, and systems contributions. This subcommittee is suitable for papers that make a significant designerly contribution to HCI. Papers submitted here include novel designs of interactive products, services, or systems that advance the state of the art; creation and evaluation of new design tools, processes, methods, or principles, including those that explore alternatives to scientistic ways of knowing; work that expands the scope of design thinking within HCI research or practice; work that applies perspectives from other disciplines to inspire or to critique the design of interactive things; or work that advances knowledge on the human activity of design as it relates to HCI research or practice. We particularly encourage contributions of new designs that broaden the boundaries of interaction design and promote new aesthetic and sociocultural possibilities. Examples of design approaches include : industrial/product design, visual/information design, participatory design, user-centered design, interaction design, user interface design, user experience design, service design, critical design, and design fictions. Finally, this committee encourages submission of work that addresses design research issues such as aesthetics, values, effects (such as emotion), methods, practices, critique, constructive design research, and design theory. What should we expect from research through design? This subcommittee focuses on advances in interaction and enabling technologies as well as explorations of emergent computing domains and experiences. It welcomes contributions that are fundamentally new, those that examine capabilities/modalities that have not yet been fully exploited, and those which describe substantive improvements on prior work that open new interactive possibilities. Contributions will be judged in part based on their novelty or on their demonstrated improvements. Areas of interest include, but are not limited to: software interaction techniques, touch and gestural input, haptic and tangible interfaces, interaction with and around digital fabrication, 3D interaction, augmented/mixed/virtual reality, wearable and on-body computing, sensors and sensing, displays and actuators, muscle- and brain-computer interfaces, and auditory and speech interfaces. This subcommittee is suitable for papers whose primary contribution improves our understanding of people or interactional contexts. This understanding may be derived from quantitative or qualitative empirical research, or it may be conceptual in nature. Suitable topics for the subcommittee include but are not limited to individual behavior, human performance, as well as group, social, and collaborative behaviors. Core contributions typically take the form of insightful findings, evolved theories, models, concepts, or methods. Contributions will be judged in part by their rigor, significance, validity, and practical or theoretical impact. How Relevant are Incidental Power Poses for HCI? This subcommittee is suitable for papers which present and describe novel interactive systems and technologies, as well as the technical development of resources which will facilitate and inspire future interface design explorations. This includes both software and hardware technologies that enable and demonstrate novel interactive capabilities, and “enabling” contributions, such as datasets, tools, methods, and languages which will directly support the construction, engineering or validation of interactive systems. This scope specifically includes interactive systems and applications leveraging machine intelligence, emerging computing environments, and data and tool sets which can be shared among the research community to design future interactive systems. Engineering contributions should clearly explain how they address interactive systems concerns such as scalability, reliability, interoperability, testing, and performance. They can be targeted at end users, offering novel interaction capabilities or supporting improved interactions. They can also be targeted at developers, improving or facilitating the construction of innovative interactive systems. “Enabling” contributions must specify how they can impact HCI research.